Home Freediving What the Puck ? Ice Hockey Upside Down ! What the Puck ? Ice Hockey Upside Down ! It was a cold and unpleasant wet October morning. A numbing Bavarian winter ahead, somehow a threatening feeling, knowing that freediving would be reduced to indoor static and dynamic training for the next 7 to 8 months… Looking out of my office window, I remembered the great training conditions I had while I lived in Brazil. Suddenly the phone rings. It is Christian Redl, the Austrian freediver, whom I thitherto had known only via e-mail. Several doubts went through my mind: I had no experience diving under ice, no gear for low temperatures and I had never met Christian. In fact, it wasn’t too difficult at all to convince (seduce ?) me. This would be a great chance for me to transform this cold winter into a new freediving adventure! A week later I had already enlisted my buddy: Knut Stender, an underwater rugby player for the Munich Dolphins, our freediving club in Munich’s Olympic Centre. The selection of an underwater rugby player turned out to be a good choice, since the under-ice hockey would demand high resistance for fast and extremely active dives with short ventilation intervals. The date: Saturday, March 5, 2005. Location: Weissensee, at 930m above sea level Europe’s highest swimming lake, located in Austria. Two ice hockey goals bound upside down under water on an 6 x 8m ‘field’. On each side of the middle line, 1 meter away from the lateral line, are the respective 2m x 1m breathing holes for the Austrian and German teams, each hole marked with a big national flag to avoid confusion. The puck, a custom construction from Jaromir, is about 30cm in diameter and is made of wood and foam to keep it ‘floating’ under the ice surface. Each team plays with only 1 icehockey stick, which is passed from player to player in intervals conditioned on the team’s chosen apnea time. Determining the optimum stick – switching interval is quite tricky. A shorter interval assures the player enough air for a power play, on the one hand, but on the other hand it increases the time during which both players are under ice, since the stick shift is done during play and in extreme cases, far away from the breathing hole. For example, if I dive only 25 seconds after my team buddy Knut, it would take me about 6 seconds to reach him and grab the hockey stick, while he needs another 6 seconds to reach the breathing hole. That means we would be venting for only 25 seconds to fuel 37 seconds of full-throttle power play period under the ice. Of course, this interval could be increased for tactical advantage. I could, for example, agree with Knut on a longer apnea period, trying to block the puck under water while conserving oxygen, giving Knut the time to ventilate for an “underwater-rugby-like power play”! By the way, although these apnea times may seem seem short, consider the oxygen consumption during all-out exertion with a 7mm neoprene wetsuit, in 2°C water! Turbo freediving, ladies and gentlemen. Another interesting aspect of the game was the fact that the ice measured 50cm thickness, which meant there was no way to have visual contact with your ventilating buddy hanging in the 2 by 1m hole and so could not signal him that it’s time to be released. A well-trained team with a good knowledge of each partner’s limits is crucial. Spacial orientation under the ice turned out to be a challenge. While breathing in your hole, you would look upright at the (dry) ice surface, aware that the goal is to your right. With a start signal from the (Austrian, but fair) referee you would instantly turn belly up under the ice and zoom towards the centre of the field, seeking the advantage accruing to the first to reach the puck. Seizing control of the puck, you would try to reach the opponent’s goal to the left, ooops, no, now to the right side since you are now upside down! Well, ever at risk of scoring at the wrong goal there is that last task: returning to your (and not the opponent’s) breathing hole. The moment you are relieved by your buddy, you turn upright again, and dive back to the right (or was it to the left? That’s why your hole is marked with your flag, Sherlock !) to get air. Needless to say, in a boffo competition such as this safety must come first. Christian had organized a great team of 7 experienced safety divers from ASBÖ (Arbeiter Samariter Bund Österreich). There were 4 safety divers, one photographer and one camera man under the ice at all times, throughout the game. Safety procedures were exhaustively drilled and everyone well-prepared. We players could focus on scoring our goals, knowing that we were in sure, steady hands! Finally : The First International Underwater Ice Hockey Match! I was amazed by the organization Christian had mobilized. We athletes did not have to lift a finger. Every activity was precision-orchestrated. Holes were drilled and sawn out. Goalposts were mounted. A heating tent was set up. A safety fence was positioned to keep the crowds off the air holes. Even TV stations, and the mascot of the 2005 Ice Hockey World Cup in Austria were present. The mascot, by the way, was German, but that’s classified information. The game was becoming damned serious! This was incredible; I had never seen so much public interest for a freediving event before. Little Austrian kids were chanting "Jaro, Jaro, Jaro!" for their hero. The first of the three 10- minute game periods finally launched. The German tactics turned out to work well, and first period closed with us 3 goals ahead. I don’t know what the Austrians poured in our hot drinks during the break (or what they had in their own drinks !) but the fact is that in the second period Austria was able to usurp the lead. The ecstatic crowd was definitely a motivational engine for the home team. Time out….. nominally, to warm up for the last period, but instead of drinking the generously provided hot tea, Knut and I reviewed and revised our strategy: power play the whole 10 minutes! A risky and physically,a borderline-impossible gambit. We recovered the lead and pulled ahead by 2 goals, but in the end the power play exhausted us and in the last 3 minutes Austria scored 2 goals, ending the game in a draw. We were a little disappointed, sure, but it was a joy to see the relief in the faces of the kids! After all, a draw was a fair result after this extreme under-ice battle.  The primary objective had been attained: Freediving was brought closer to the public in form of a new sport, and a European Cup is already planned for next year. I would like to thank Jaromir and Christian for the great organization, the ASBÖ safety team for their professional work, their girlfriends and wives for serving us tea and hot soup after the game, Cressi for the diving equipment, Marine Pool for our sports wear and Omega for the great PR work. Freedivers of the world, let’s see you all next year for the Euro Cup! You won’t pucking believe it.